← It’s Shake and Bake, and I helped. Baking soda ain’t no joke. And my mom is the best of all the rest. It’s 9 AM on a Saturday, my kitchen is clean, dishwasher unloaded and loaded, laundry is all in the basement ready to be started, I cleaned my microwave! 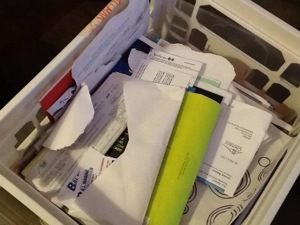 !, and I am about to start filing months and months of paperwork that is loaded up in crates and rubbermaid tubs in my guest room. All of this means one thing. I am in a good place. I am in a place of hope. I am in a place of control over food (biggest indicator of my well being). The main indicator was the microwave. My husband and I are not good housekeepers. I mean, we are not buried alive like on Hoarders…we keep our main living area clean and ready for guests. But, our bedroom has clothes every where, our guest rooms are riddled with piles and piles of papers, books, and random stuff. Dishes sometimes sit in our sink for more than one day, and pans even longer (my husband does not clean pans.) Our bathrooms are cleaned way too rarely. 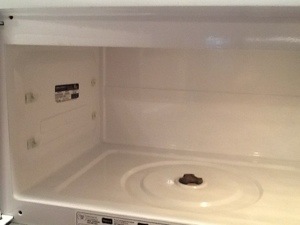 And our microwave…our poor microwave. So, today, I bit the bullet. I was too embarrassed to take a before picture…but here is the after picture. First, I was just washing with a hot rag, then I remembered reading on a blog or in a magazine somewhere about adding baking soda to the water. I did that, and it came clean with hardly the effort I was putting forth to start with. I am so happy with the result. And maybe now, I won’t put it off so long. 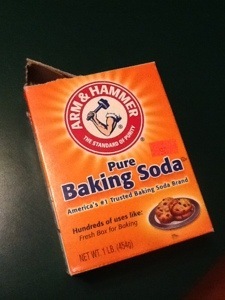 Baking soda ain’t no joke. It works!!! 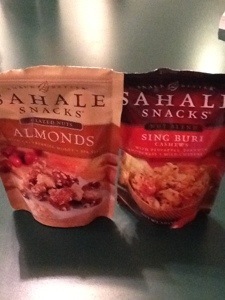 They are SOOO good. And it only takes a few to make a filling snack. And I wanted to mention that today is the birthday of my #1 blog fan. My mom. My mom has been amazing throughout my whole pregnancy and miscarriage, and pretty much my whole life. I know that she suffered the loss just as much as I did, but she was strong for me, because that is what I needed. That’s pretty much indicative of the kind of mom she is. She is the mom who would do anything for my brother or me. I know sometimes it makes it hard on her as an individual…sometimes feeling under appreciated, and taken advantage of…but it does not stop her from being the best mom in the world. Her love is so big it is tangible. What are you all up to this weekend? Update: Weird. When I published this two paragraphs disappeared. 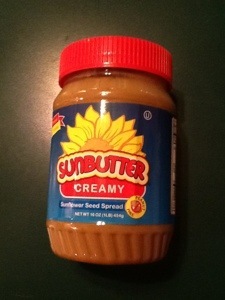 The 2 paragraphs to explain the pictures of the English muffin and Sunbutter. And it will NOT let me insert it between the pictures. I keep trying. Anyway. This entry was posted in Uncategorized and tagged baking soda, birthday, chuck e cheese, cleaning, filing, mom, nuts, pumpkin, pumpkin spice english muffin, sunbutter. Bookmark the permalink. 2 Responses to Baking soda ain’t no joke. And my mom is the best of all the rest. I love mom WA as well!!!! Happy birthday to one of my favorite people to shop with! Love you my sweet child miss you!